Marianas High School did a weapon search last week but found cannabis in a student’s bag instead. The school with the largest student population in the CNMI did the random weapon search in response to reports of students bringing weapons into the campus. Authorities found cannabis, instead, during the search. The discovery of cannabis in a student’s bag was immediately reported to both the Department of Public Safety and the Public School System. 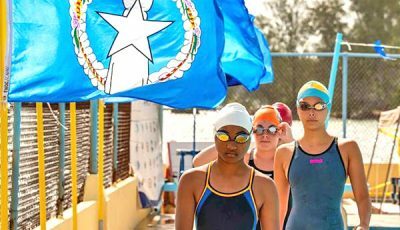 Based on Saipan Tribune archives, it was the second incident of cannabis being found in a school campus since the passage of Public Law 20-66, the local statute legalizing the use of recreational and medicinal cannabis. Gov. 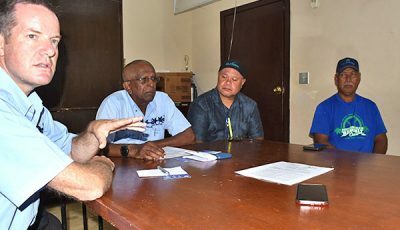 Ralph DLG Torres noted in a previous interview that cannabis remains a Schedule I drug under the U.S. Drug Enforcement Agency and that it would take about seven months to set up the five-member Cannabis Commission that will have oversight over marijuana in the CNMI. Upon the creation and promulgation of the regulations on cannabis, it would take effect 10 days after its adoption and publication in the Commonwealth Register. In an interview yesterday, interim Education commission Glenn Muña noted that, as far as PSS is concerned, cannabis remains a contraband. Like Cabrera, Muña emphasized that student safety and security remains their priority. 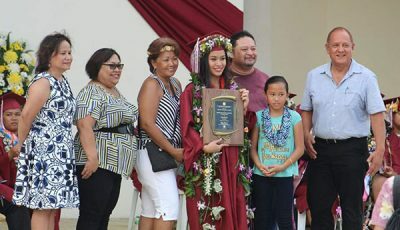 Erwin Charles Tan Encinares holds a bachelor’s degree from the Chiang Kai Shek College and has covered a wide spectrum of assignments for the Saipan Tribune. Encinares is the paper’s political reporter. MCS students learn cooking, sewing, filmmaking, etc.